https://cdn2.hubspot.net/hubfs/644585/bio-whitepapers/Analyzing%20NGS%20Data%20For%20Copy%20Number%20Events_Whitepaper%20Cover%20Page.jpg Next-generation sequencing (NGS) is mainly used to obtain sequence variants (SNVs). However, getting copy number variants (CNVs) from NGS has gained momentum in both research and clinical applications. 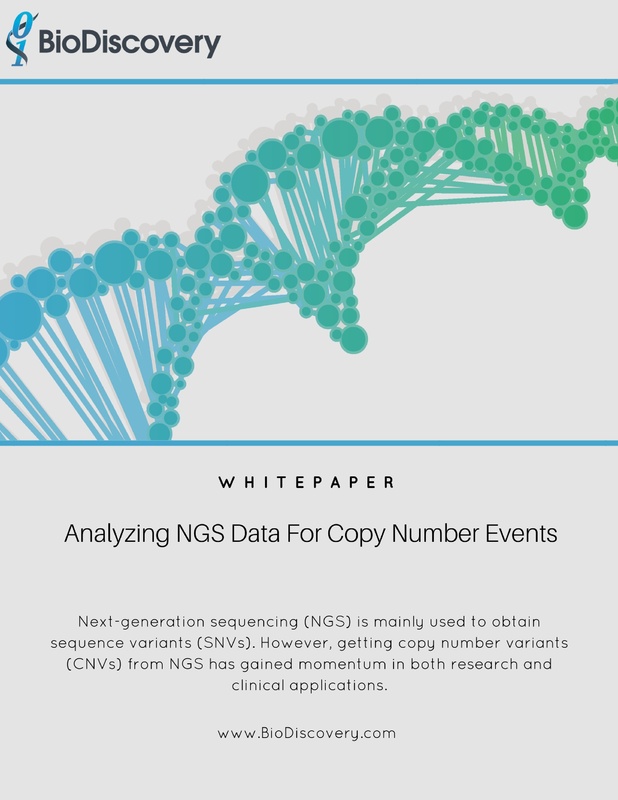 Next-generation sequencing (NGS) is mainly used to obtain sequence variants (SNVs), however there has been a movement in research and clinical fields to also obtain copy number variants (CNV) from this NGS data. Nexus Copy Number 8.0 provides a new method, BAM (pooled reference), to streamline the process for analyzing copy number and allelic events from whole genome sequencing (WGS), whole exome sequencing (WES), and targeted panel NGS data.